38% of the United States 4th grade population ranks as “below basic” when it comes to their reading skills. That trend is getting worse given that fewer kids are picking up books due to the increased prevalence of digital devices and video games. If you’re a parent who is noticing your child pacing behind in reading, it can be stressful trying to figure out how to get them up to speed. Alternatively, if your child is just entering school, you may be wondering what you can do to help them avoid running into trouble with reading down the line. Whether your goal is preparation or improvement when it comes to reading skills, there are measures you can take to set your child up to be a confident reader. Below, our team shares with you 7 effective tips that can help condition your child for reading success! Regular exposure to books helps improve reading outcomes. That’s why it’s important that from an early age, your child notices the presence of books in your home. Set up a bookshelf in your child’s room and fill it with age-appropriate books. Have a shelf in your living room and fill that too. The more commonplace books are in your home environment, the better chance you have of your child picking one up. As with all skills, practice makes perfect when it comes to reading. To make sure that practice is conducted regularly in your home, set aside some time each day for you and your child to read. You can read with your child when they’re just starting out with the alphabet. When they feel confident reading, you and your child can sit next to each other reading separately and report what you read about when reading time is over. Remember, lack of consistency leads to complacency when it comes to reading skills. Never put reading on the back burner in your child’s daily routine. Reading doesn’t just need to be a scheduled activity, reading should also be fun. When your child is bored, encourage them to read. If they don’t know what book to read, take a trip to the library. Instead of reading to your child before bed, have them read to you. 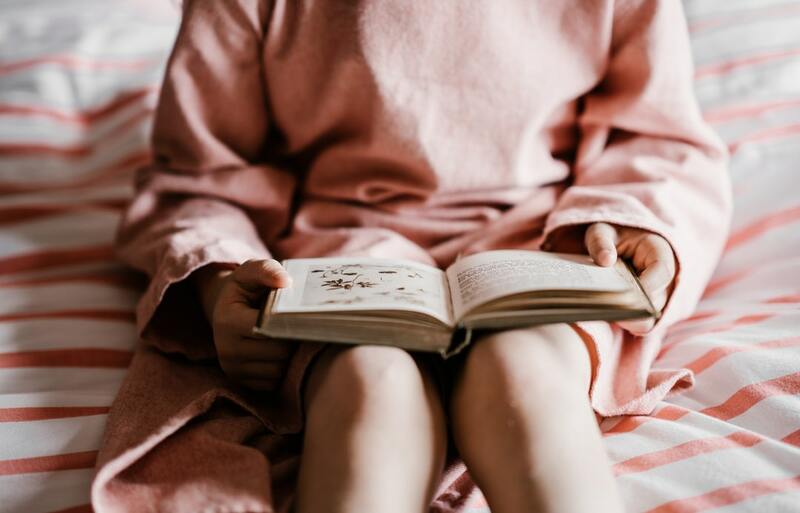 Anything you can do to keep the routine of reading fun and help create positive emotional anchors towards it is something you should try when aiming to improve your child’s reading skills. Reading books is a cornerstone of improving reading skills. The truth is though, reading opportunities are all around us. They exist in restaurant menus, on billboards, at amusement parks, and just about everywhere else. To help diversify your child’s reading experiences, challenge them to read when you’re spending the afternoon out on the town. Have them read signs to you or read to you what they’re going to order from their favorite restaurant’s kid’s menu. This break from books but continued focused on reading gives your child many of the same skill-building benefits in an informal way. The better you understand how your child is performing at school, the better you can tailor their at-home education to their needs. Show up to parent-teacher meetings. Work with your child on homework. Ask their teacher for recommendations. Anything you can do to increase your understanding of where your child is excelling and struggling when it comes to reading is a positive thing. One of the chief barriers that stand between children and their ability to meet expected learning outcomes are distractions. Today, the biggest distraction comes in the way of electronic devices. If your child seems more interested in playing with their tablet or on your phone than they do in working on their homework or improving their reading skills, you need to intervene. Limit exposure to non-educational apps by going into your child’s device’s settings and activating parental controls. It’s likely that your efforts to curb gameplay will be met with protest. Don’t falter. The sooner that you help your child shape what their priorities should be, the more well-adjusted they’ll become as adults. Sometimes it seems like no matter what you do your child just isn’t able to meet learning standards. It’s important for you as a parent to not get discouraged if that happens. Different children learn at different paces. Different kids bloom at different times. At the end of the day, the most important thing is to not give up and to keep seeking educational resources for your child that give them the best chance of succeeding. If you do that, you’ve done your job when it comes to helping your child fulfill their reading potential. Reading is an essential skill in children that allows them to hone their creativity, imagination, and grow into well-adjusted adults. In order to help improve your child’s reading skills, we recommend you take to heart our tips above. Each of them will help your child gain regular exposure to reading, will improve their confidence, and will help you better understand their educational needs. At Move Books, we specialize in helping children, particularly young boys, rediscover the love of reading. Learn more about our mission and how you can help us achieve it as parents and as educators.